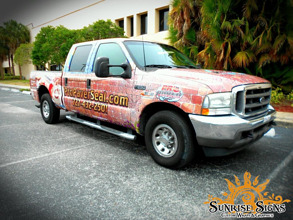 Since 2003, Pro Paver Seal has been offering paver sealing and stripping in Tampa Bay Florida and surrounding cities in West Central Florida and Pinellas County. 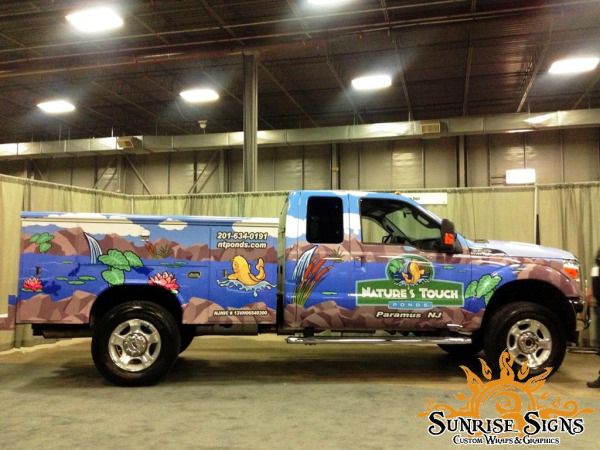 When contractors need to get noticed and develop a local brand, the very best way to do this is with vehicle wraps and graphics. 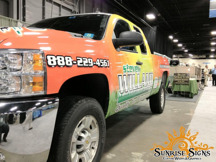 Sunrise Signs recently wrapped a Ford F350 utility truck at the New Jersey Professional Landscape & Nursery Trade Show in Edison NJ and Nature’s Touch Ponds and owner Darren Lucas were the happy recipients of this vehicle wrap project!